Several years ago I was at a boutique and purchased some vintage clothespins. When I bought them I had no plans and no ideas about what I would do with them. I just liked them. Now, though, I’ve got both: plans and ideas. 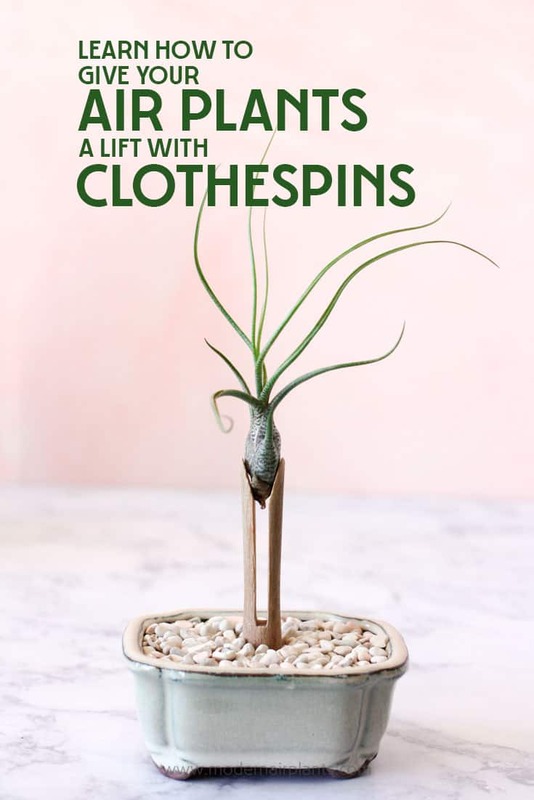 Vintage-style clothespins are just right for displaying air plants. 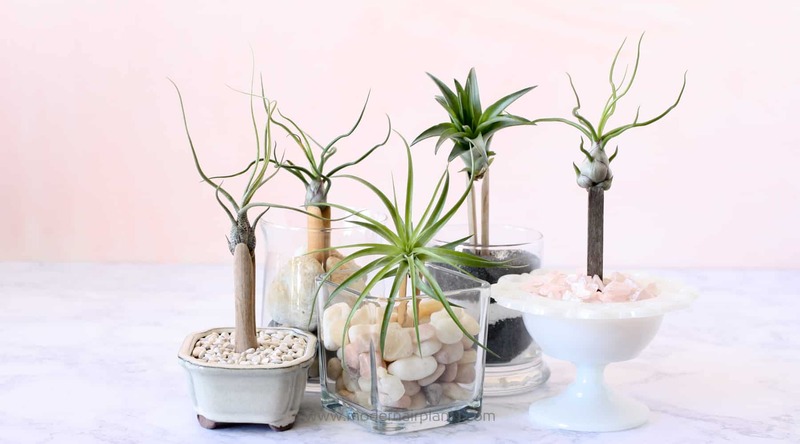 Not only do air plant and clothespin displays look totally chic, but they are 100% practical. 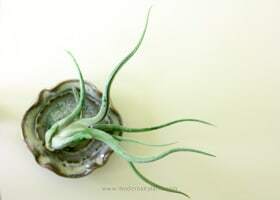 Watering these air plants is a cinch. 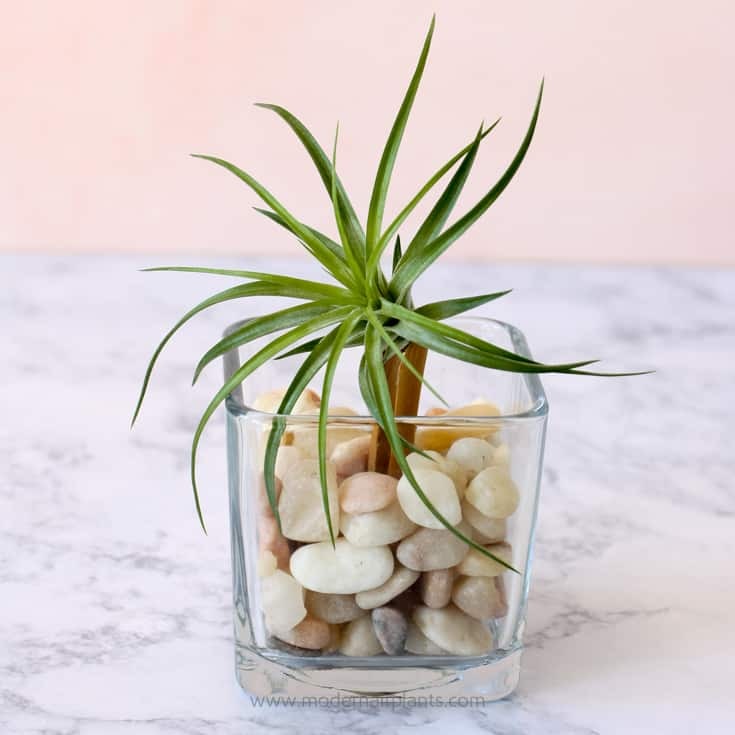 Simply remove the air plants from their display to soak in water, then, after allowing the plants to dry, return them to the arrangement. Done. One word of caution: the air plants must have a very narrow base for this display to work. I have successfully used aeranthos, butzii and bulbosa Guatemala. 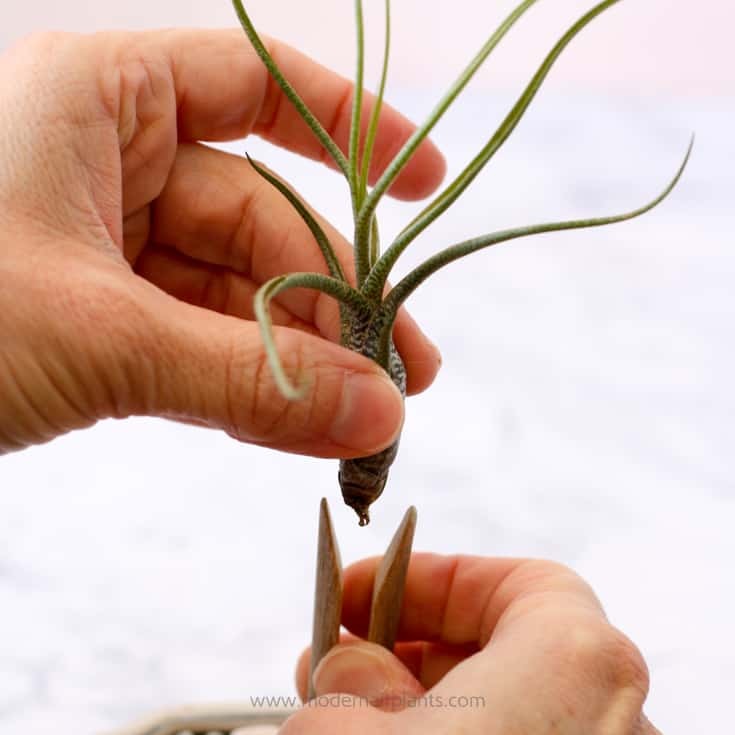 If you purchase your air plants online be sure to mention that you’d like air plants with a narrow base. You want the plant to be snug in the clothespin, but not squeezed or pinched. a vase, pot or other container. You can find glass vases at your local dollar store. Or, if you like the look of a clay pot, try a 4″ bonsai pot. rocks to stabilize the clothespin and keep it upright. 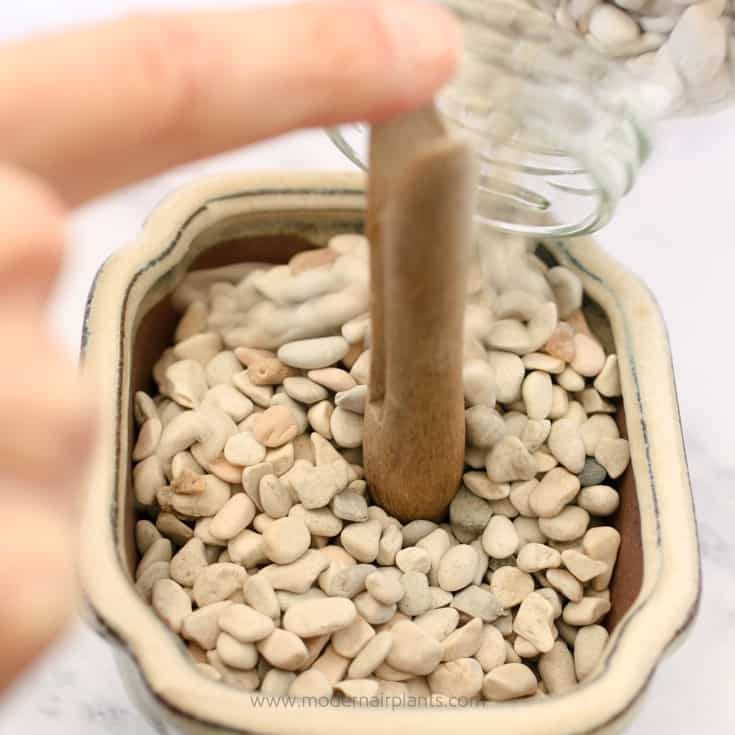 An assortment of pebbles can also be purchased at the dollar store. 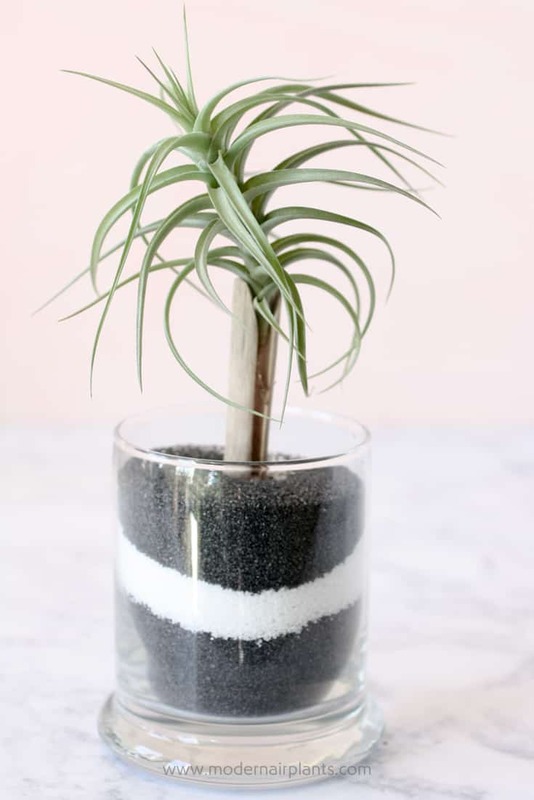 air plant(s) with a narrow base. I’ve used aeranthos, butzii and bulbosa Guatemala. Ask for young plants. Large bulbosas will not fit in a clothespin. 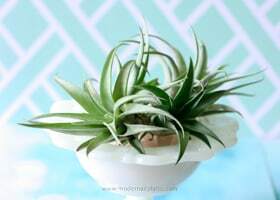 Select a pot or container to display your air plant. If there are drainage holes be sure to cover them. 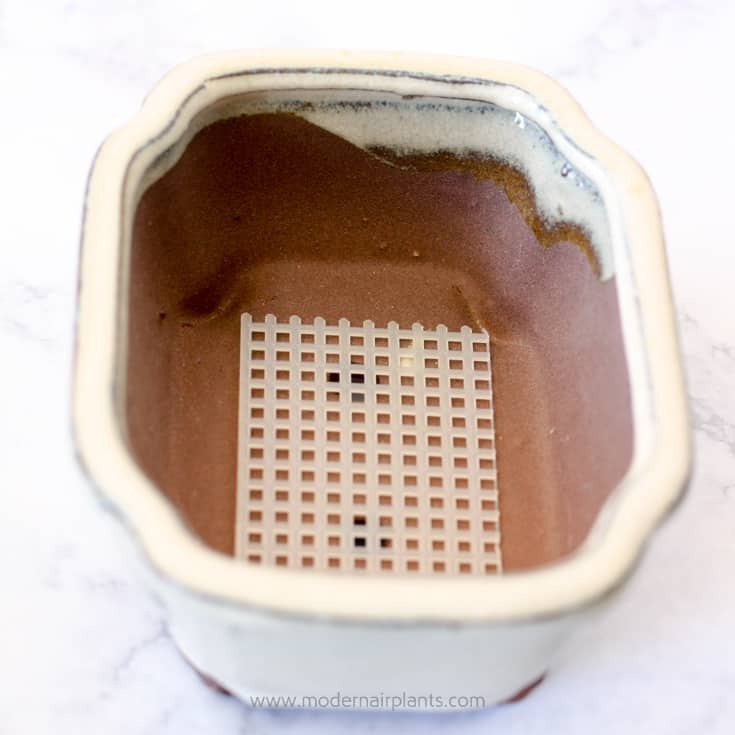 Pictured is a 4″ bonsai pot. Begin by holding the clothespin upright in the bottom of the container. Then pour rocks around the clothespin. 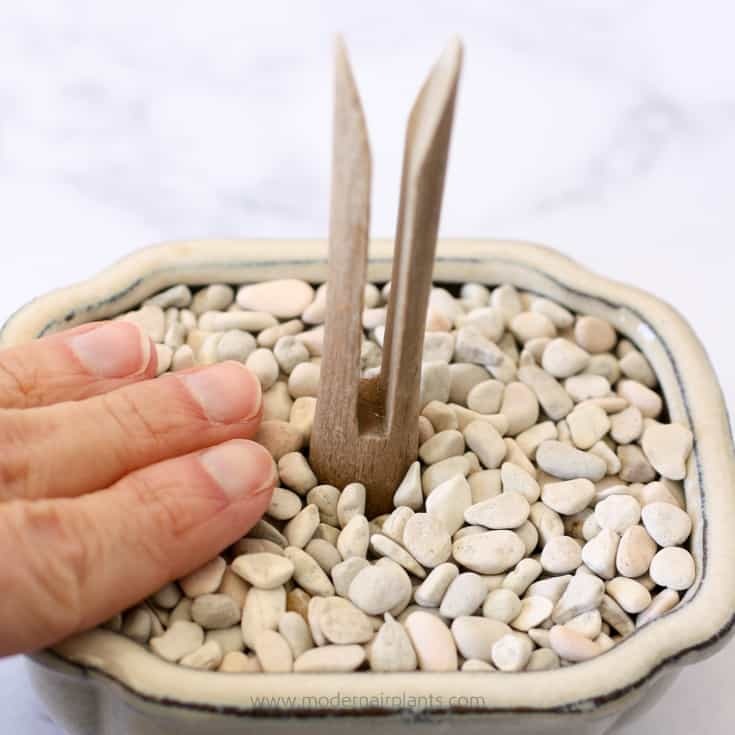 Using your fingers press down on the rocks to help them compact, firmly holding the clothespin in place. Now open the end of the clothespin enough so that the air plant will slide in. That’s all there is to it. 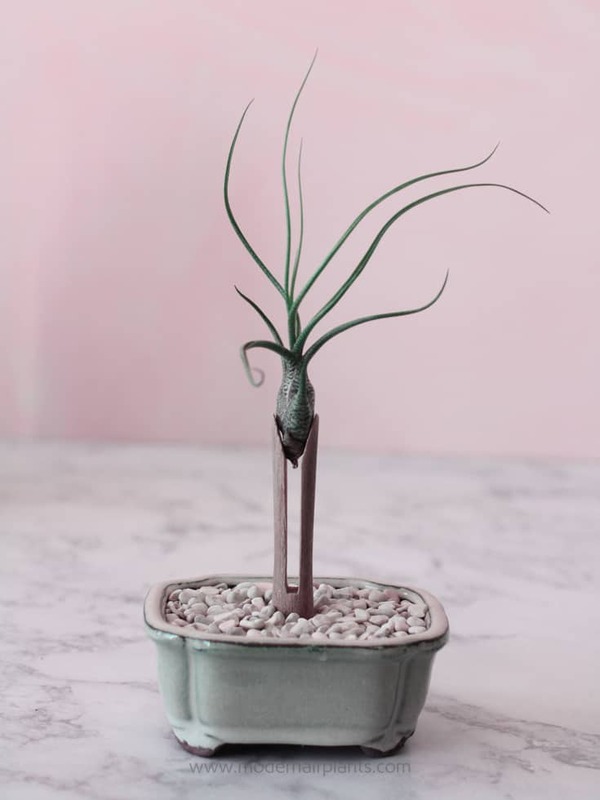 Tillandsia butzii in a bonsai pot with a pastel top dressing elevated with a vintage style clothespin. I purchased the glass vase from my local dollar store. The three larger rocks stabilizing the clothespin are from a family outing- a reminder of family fun. 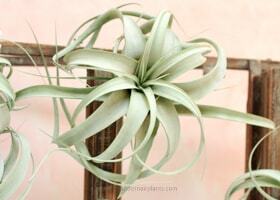 Pictured above is the Tillandsia bulbosa Guatemala. 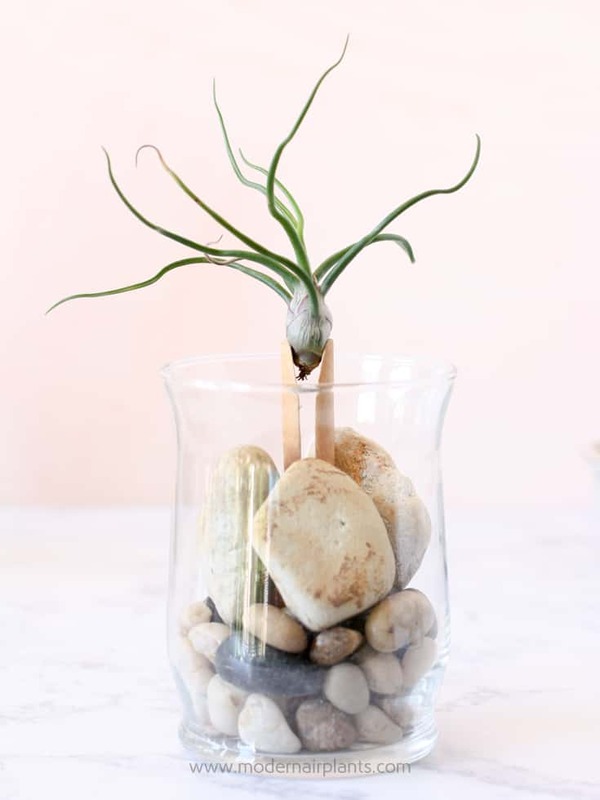 Here is another example of a dollar store vase used to display air plants. Alternating black and white sand adds interest to this display. Shown is a T. aeranthos. These displays are great looking and easy care. These little sculptures are perfect for your tabletop and to share with friends. 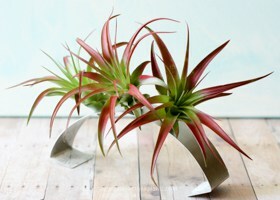 Don’t you agree that these little air plant displays would make perfect thank you gifts? You are most welcome and thank YOU! Very creative! It’s fun to look at things with a different outlook. I LOVE this idea! I have some clothespins I almost threw away the other day, because I bought them for a project I never finished.